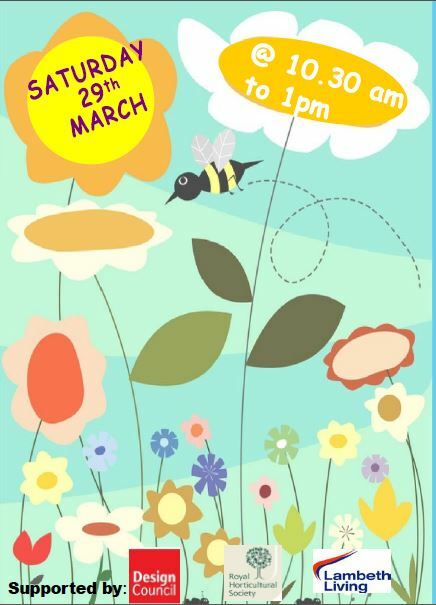 Saturday 29th March at 10.30am to 1pm in Hook Community Hub , Holderness Way SE27 0EN . Refreshments, bouncy castle, sports , crafts & more. Bring a neighbour and your ideas – cooking workshops · school holiday activities · children’s drama · community gardens.